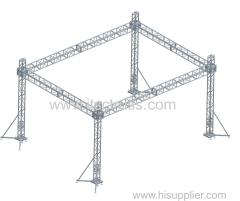 This 4 tower-based flat roof lighting trusses rigging is set up with 4 sets common lifting towers and 4 beams. All the trusses rigging is with ITSC-CS29 spigoted trusses segments. 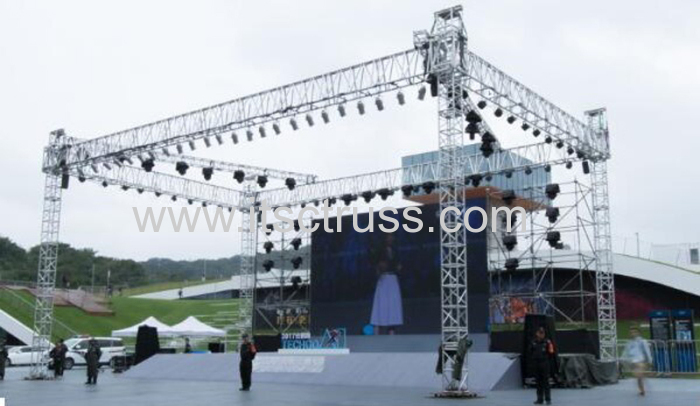 It can be extended to within 10m span with 450kg capacity. 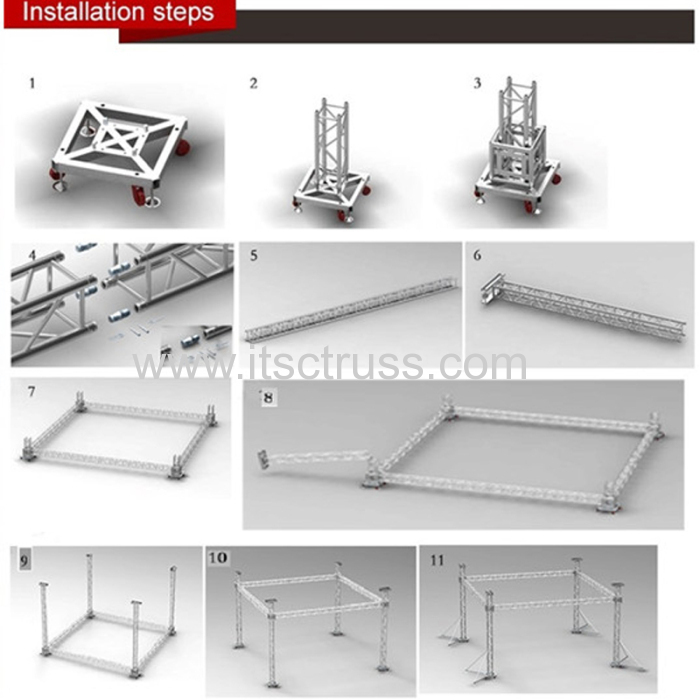 Below is how ot install the whole trussing rigging system. 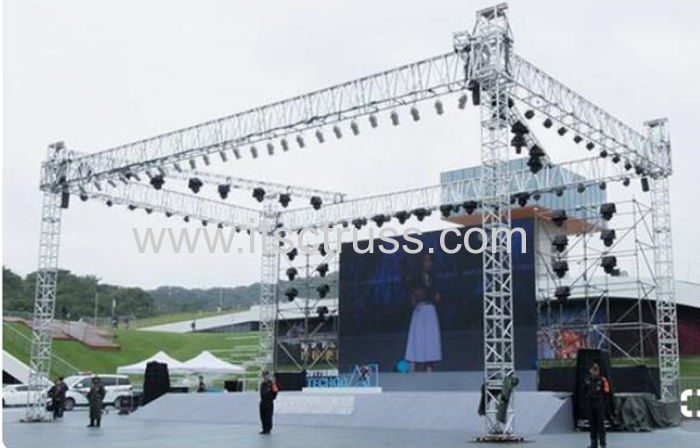 This lighting truss rigging is applied for outdoor events. It is easy and quick to install.